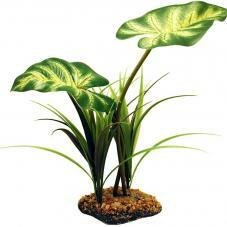 A realistic artificial plant which looks fantastic in all rainforest habitats. 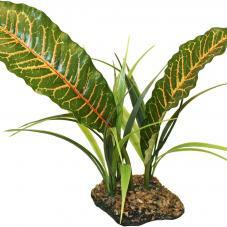 What are Komodo Rainforest Canopies used for? 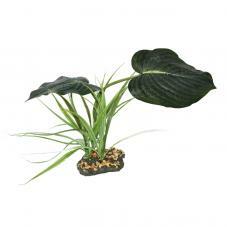 Create a natural habitat and provide enrichment for your exotic pet by adding realistic plants to their enclosure. 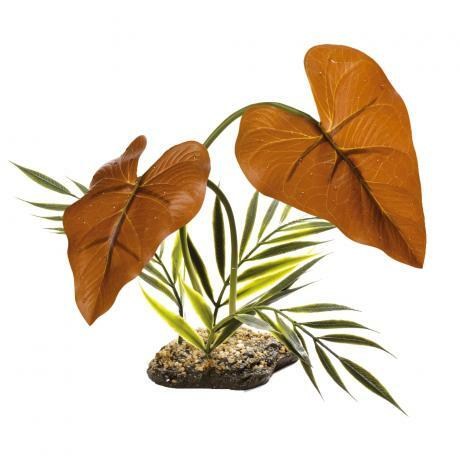 A lifelike two-tiered artificial plant with water droplets on the leaves, flexible stems and a weighted base to keep it upright when buried into the substrate.